Buxley gets a job application. 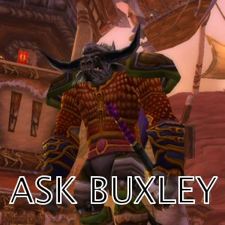 Buxley answers a question about a certain Kodo. Notice those spells don’t work quite the same since Tuesday? Buxley explains why. Buxley explains the weird thing about artifact weapons you might have noticed.